Turn it on and the mosquitoes are gone. 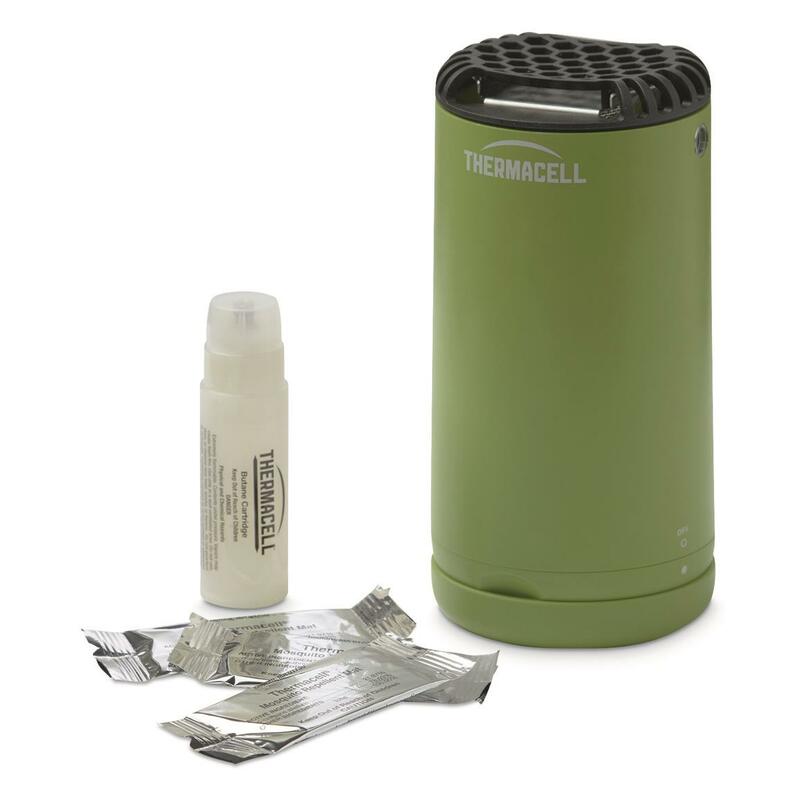 Entertain your guests while keep your backyard and patio mosquito-free with the Thermacell® Patio ShieldTM. 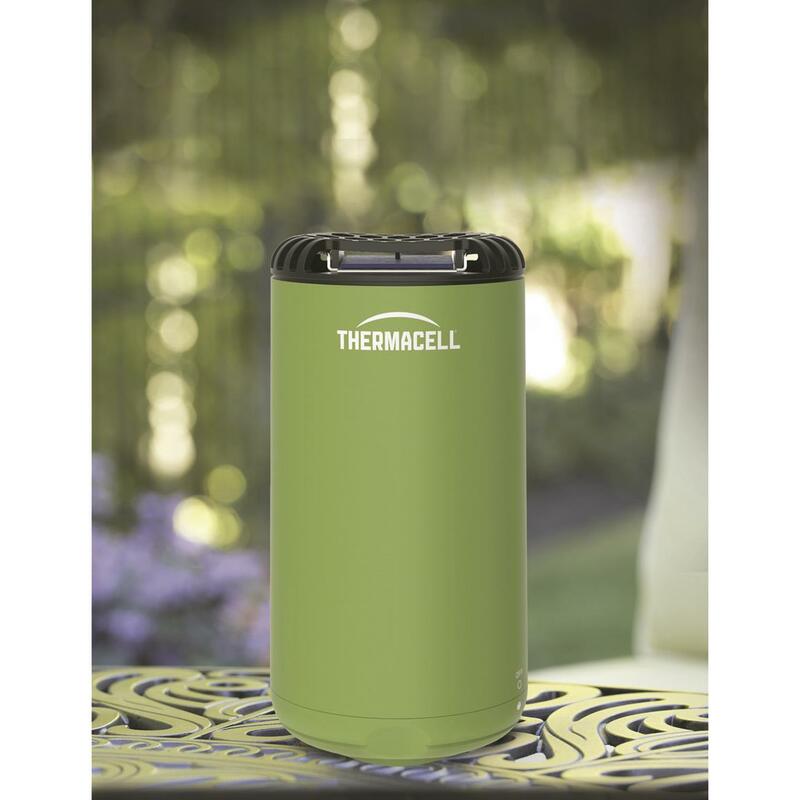 Cordless, portable, stylish design creates a 15' x 15' mosquito protection zone without messy sprays, oily lotions, open flames or smelly candles. Odor-free and DEET-free. 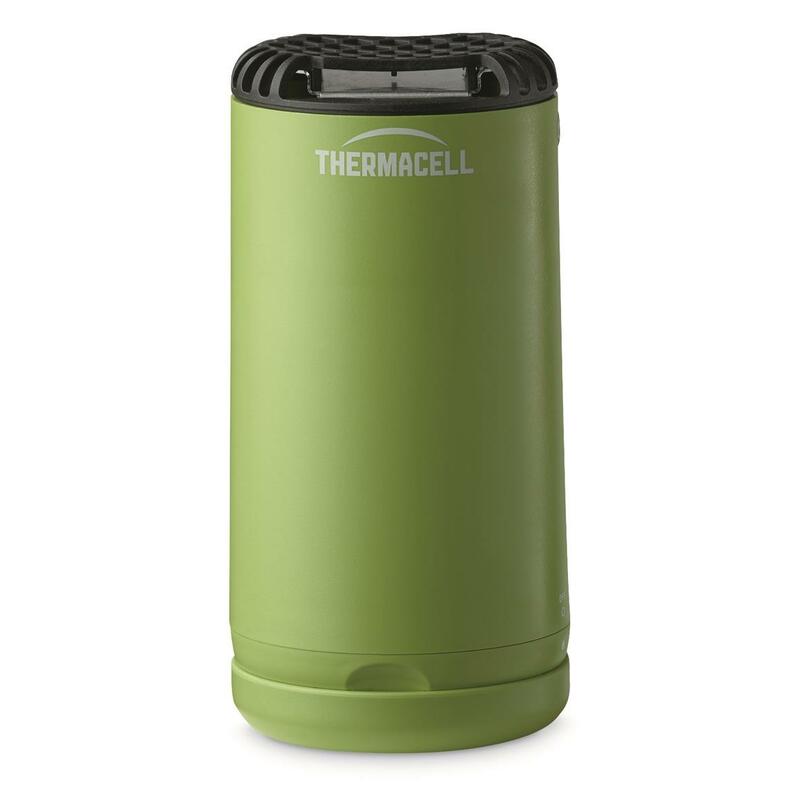 Thermacell Patio Shield Mosquito Repeller is rated 4.5 out of 5 by 134. Rated 5 out of 5 by Sekota from THEY WORK! I’ve had a portable at our mountain cabin and it worked so well I bought two for each patio at our condo rental. I’m a fan! Rated 5 out of 5 by stinker from Very effective! Received as a gift and enjoying my porch again. Easy to use (the info band around a great idea! ), aesthetically pleasing and the fact that it is weather resistant is an important factor since I live in humid state of Florida. Rated 5 out of 5 by Carrie from Keeps the Bugs Away and Love this Color! 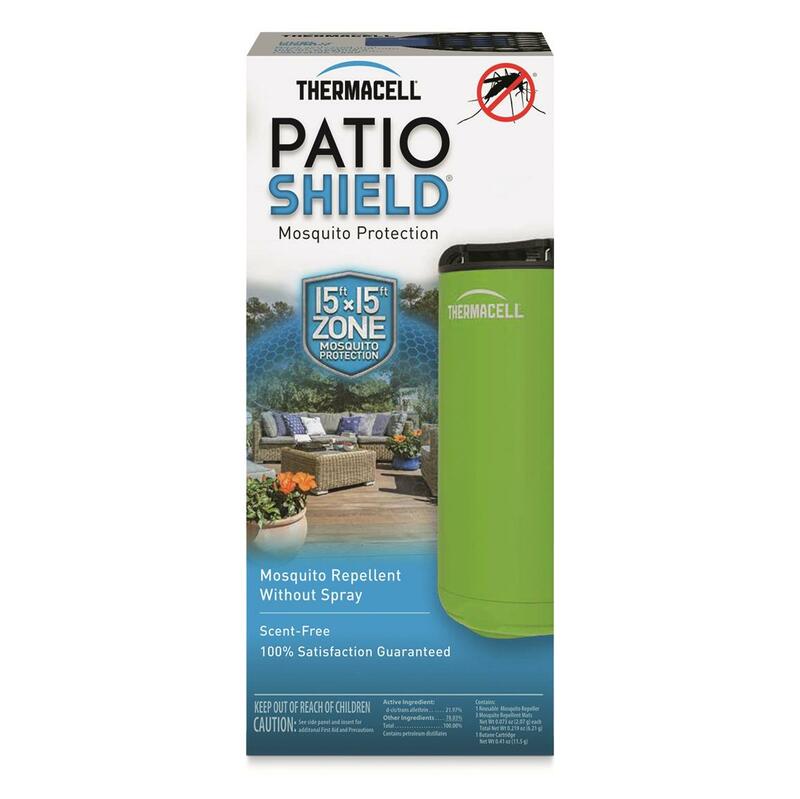 I bought the patio shield when we moved into our new home this summer as the mosquitoes were horrific. 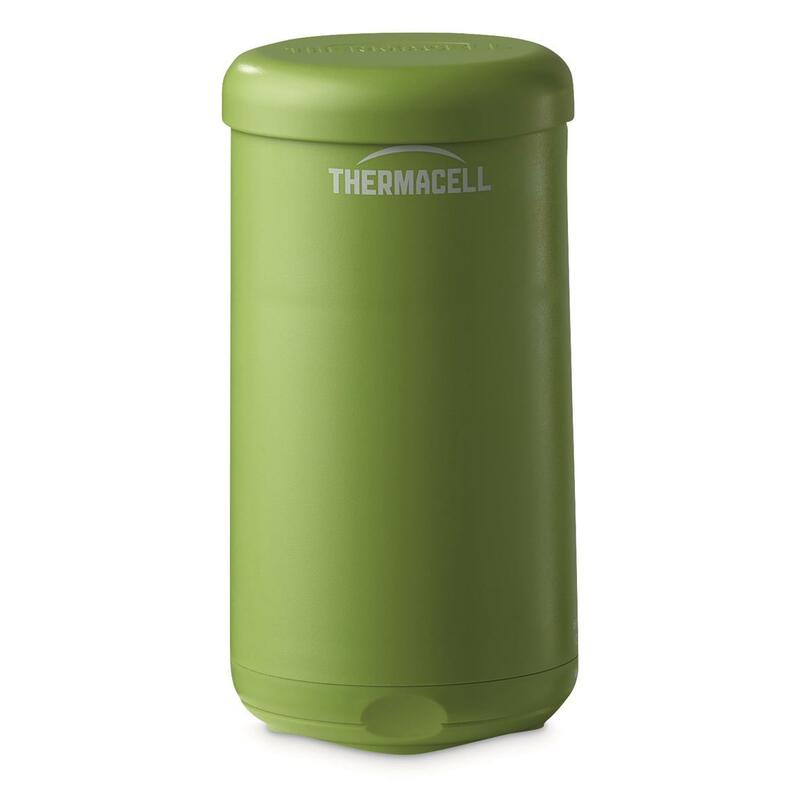 I specifically bought from the Thermacell website because they had a warranty. I was so pleasantly surprised and loved being able to eat outside on our new deck and relax with family and friends. I will say that sitting the shield outside about 15 minutes before going outside myself creates the ideal protection. So thankful for this product! Rated 2 out of 5 by Lotus7777 from Wind eliminates much of any potential effectivenes Mine was a gift. Am new to mosquito land and being eaten alive. Was hoping for more. Not enough for an area where a fan is needed to survive the heat to sit outside. Rated 5 out of 5 by Knifemaker from Thermacell Patio Shield Works where nothing else has. I have tried Sprays, Candles, Citronella, Wrist bands, LOL The Patio Shield is the only thing that works!!! I am now going to buy the personal one to carry with me camping and hunting. Rated 1 out of 5 by NatLa from Had high hopes but... Everyone has raved about these so I finally got one. However, i sat outside with it on for 30 minutes and got bitten just as much as I did without it. Not impressed so far. Rated 5 out of 5 by Melissa A from Very easy to use and very effective Live in NC. And when I go out to work or just enjoy a cup of coffee, or BQ, I seem to be a magnet for mosquitos. Since I have used your product it has been great to be out doors and enjoy my patio. Thanks for a great product.